Konnichiwa Minna. It is time for our anime Challenge. Last month our challenge was the occult detective anime series Mononoke. We hope you enjoyed the challenge as much as we did. This month’s challenge is the game/action/psychological/romance anime BTOOOM! based on the manga of the same name written and illustrated by Junya Inoue. In the anime, BTOOOM! is a game that sold 3 million copies worldwide. It is a game that uses bombs and not guns, as weapons. 22-Year-old Ryota Sakamoto is at the start of the game the 10th highest scoring BTOOOM! player in the world, and is online married to a fellow gamer. Something unpredictable happens to him one day. He wakes up hanging from a parachute in a tree and finds himself on an island. Why did this happen? It is up to us that take up the anime challenge to see why this happened and what is in store for our abducted gamer friend. 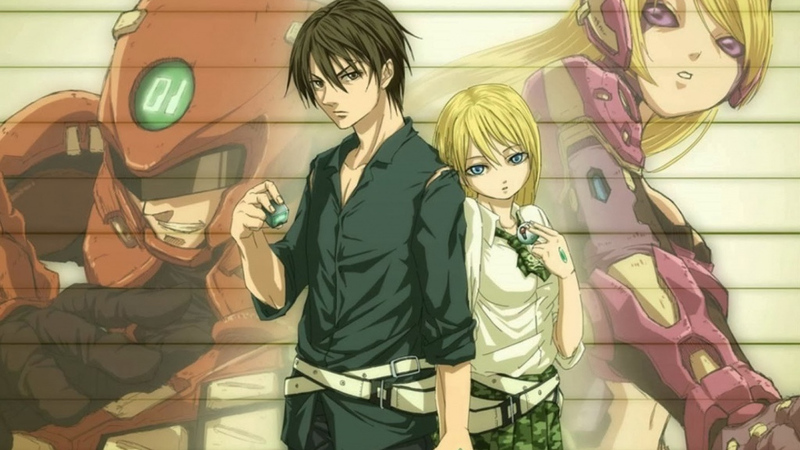 Our challenge for this week is to watch episode 1 – 3 of BTOOOM!. Let’s find out what mysteries and mayhem waits for our hero! Leave a comment about your impressions of the series or requests on anime you would love to see in the anime challenges on our FB Page. Please note that the series must be 13 or less episodes. Enjoy the challenge and have a super sugoi week!